Torben Ægidius Mogensen wrote:Permission to copy and print for personal use is granted. If you, as a lecturer, want to print the book and sell it to your students, you can do so if you only charge the printing cost. If you want to print the book and sell it at profit, please contact me and we will find a suitable arrangement. This book was written for use in the introductory compiler course at DIKU, the department of computer science at the University of Copenhagen, Denmark. At DIKU, the compiler course is taught right after the introductory programming course, which is earlier than in most other universities. Hence, existing textbooks tended either to be too advanced for the level of the course or be too simplistic in their approach, for example only describing a single very simple compiler without bothering too much with the general picture. This book was written as a response to this and aims at bridging the gap: It is intended to convey the general picture without going into extreme detail about such things as efficient implementation or the newest techniques. It should give the students an understanding of how compilers work and the ability to make simple (but not simplistic) compilers for simple languages. It will also lay a foundation that can be used for studying more advanced compilation techniques, as found e.g. in Advanced Compiler Design and Implementation. 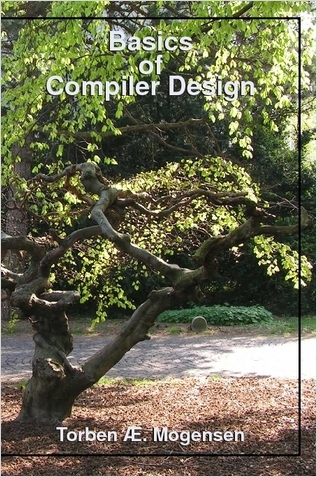 At times, standard techniques from compiler construction have been simplified for presentation in this book. In such cases references are made to books or articles where the full version of the techniques can be found. - Little detail is given about how the methods in the book can be implemented in any specific language. Rather, the description of the methods is given in the form of algorithm sketches and textual suggestions of how these can be implemented in various types of languages, in particular imperative and functional languages. - There is no single through-going example of a language to be compiled. Instead, different small (sub-)languages are used in various places to cover exactly the points that the text needs. This is done to avoid drowning in detail, hopefully allowing the readers to "see the wood for the trees". Each chapter has a set of exercises. Few of these require access to a computer, but can be solved on paper or black-board. In fact, many of the exercises are based on exercises that have been used in written exams at DIKU.